Our nation’s leftist progressives have long sought to undermine the American values expressed in our Declaration of Independence and Constitution. 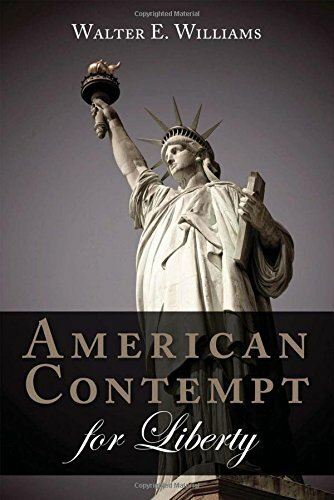 Though typical Democrats and Republicans do not have this leftist hate for our nation, they have been willing accomplices in undermining the most basic value the Founding Fathers sought to promote — limited government. Leftists have had their greatest successes in undermining American values on the nation’s college campuses. Derelict and dishonest college administrators, professors and boards of trustees have given them carte blanche. Let’s look at some of it. Students at the University of Virginia desecrated the statue of Thomas Jefferson, the university’s founder. Students at the University of Missouri want Jefferson’s statue gone. Why? He was a slave owner. Many in the college community supported Sen. Bernie Sanders’ presidential bid. They welcomed Sanders’ belief that the United States was founded on “racist principles.” There have also been calls for the removal of George Washington’s and Abraham Lincoln’s statues. Some have called for the renaming of schools that honor Washington, Jefferson and 11 other slave-owning presidents. Leftists have called for the renaming of streets named after slave-owning presidents. There have been many leftist calls for the elimination of Columbus Day. Their success at getting Confederate statues taken down has emboldened them. What goes unappreciated is just why America’s leftists’ movement attacks the Founders. If they can delegitimize the Founders themselves, it goes a long way toward their agenda of delegitimizing the founding principles of our nation. If the leftists can convince the nation that men such as George Washington, Thomas Jefferson and James Madison were good-for-nothing slave-owning racists, then their ideas can be more easily trashed. We find the greatest assaults on our founding documents on the nation’s college campuses. These types of attacks on American values have reached one of our most prestigious institutions of higher learning — the U.S. Military Academy. The administration at West Point knew of 2nd Lt. Spenser Rapone’s disqualifying insubordination at the academy, extremist political views and regulation-breaking online activity. Proof has surfaced that West Point leadership knew as early as 2015 that Rapone was an avowed communist and held Marxist anti-American beliefs (http://tinyurl.com/ybnppvm6). One of his Facebook posts read, “F— this country and its false freedom.” Despite Rapone’s conduct and demonstrated hatred of our nation, the U.S. Military Academy’s administration saw fit to allow Rapone to graduate in 2016. But the rot at our premier military academy goes beyond the traitorous ideas of Rapone’s. That was revealed in an open letter written by retired Army Lt. Col. Robert Heffington, once a professor of history at West Point (http://tinyurl.com/yb6dljy8). Heffington’s letter exposed widespread corruption, cheating and falling standards at the academy to which the administration has turned a blind, politically correct eye. In response to Heffington’s widely circulated letter, the superintendent of the U.S. Military Academy, Lt. Gen. Robert L. Caslen Jr., released a standard bureaucratic letter saying the administration will address the concerns raised in Heffington’s letter about falling standards. It will also investigate the revelations that it not only managed to graduate Rapone but also sent him on to Army battlefield units, thus enabling him to spread his anti-American ideas. The American people need to stop being sheeple and put a halt to the undermining of our nation taking place in our institutions of higher learning. Previous article by Walter E. Williams: Who Pays What in Taxes?